Oh yah... I also add the male character from this movie. He is Flyn Rider... and I choose Jake Gyllenhaal for the role... and I love it... what do you think?! Amazing, just like the others ! 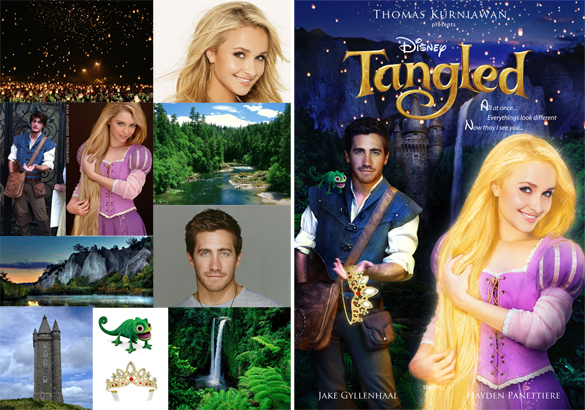 Reese witherspoon for Rapunzel and bradley cooper or ryan raynolds for Flynn. 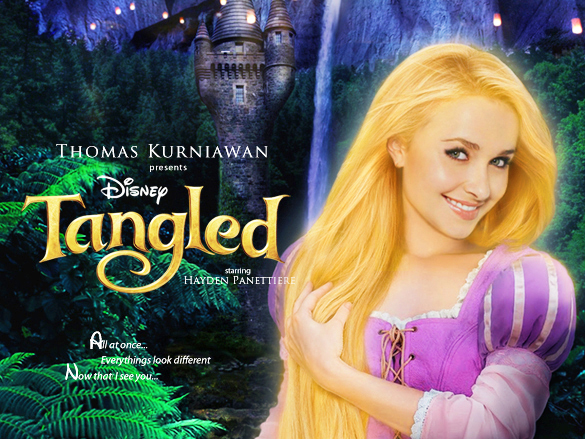 Hayden, I agree, is perfect for Rapunzel! 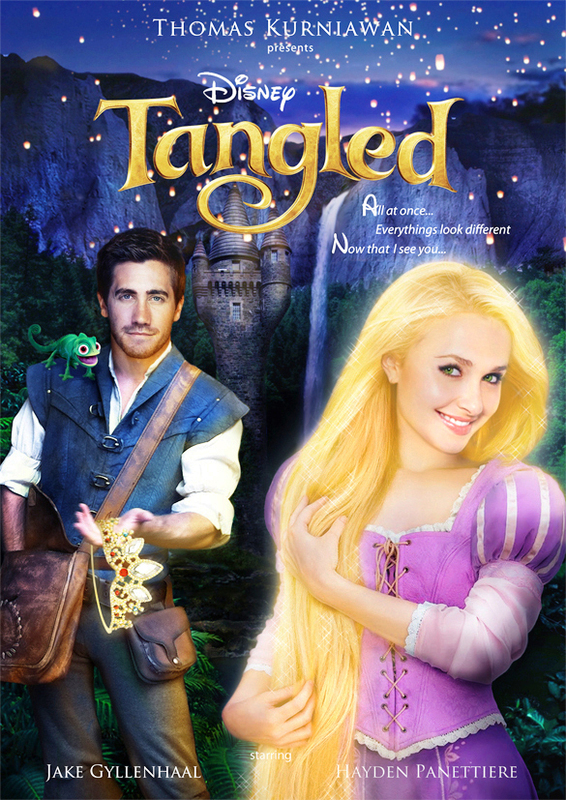 And I love Jake too <3 he's perfect for Flynn too! 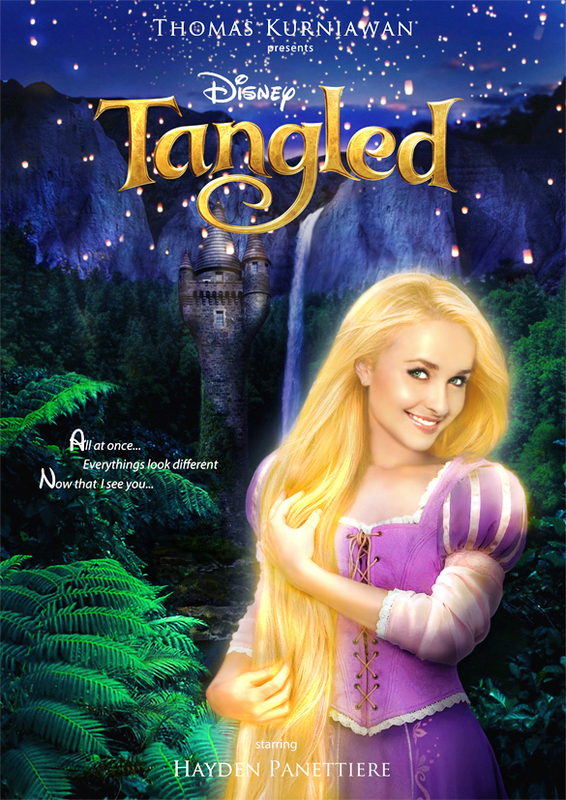 I believe Hilarie Barton would make an even better Rapunzel! Did Disney Pictures hire you already? Your work is incredible!! If not, they're doing a bad thing not hiring you. instead of jake gyllenhaal put james franco or his brother!! You're a great artist... your work is the best! You're a great artist... your works are the best! It's my daughter's birthday theme for this year on the 6th day of November. And we both love tangled a lot! Perfect dude, If it becomes a reality with a movie.... oh, wow..you are a one passionate thinker and a great artist..